I’m behind on my Bonanza postings, and I only had three days! Anyway, Day Two was a shopping day for Me and my Mummy, which started with my parents’ four rough collies (Saffy, Mollie, Roman, and Skye) helping me to unwrap my presents. I had asked my parents for a BRIGHT YELLOW SUITCASE for my upcoming Road Trip which is exactly what I got – a beautiful Tripp hardcase bag. I also got some bubbly bath products, a cover for my passport, some squirrel pyjamas from M&S, and some Winnie the Pooh cuddlies. And then on to the shopping. 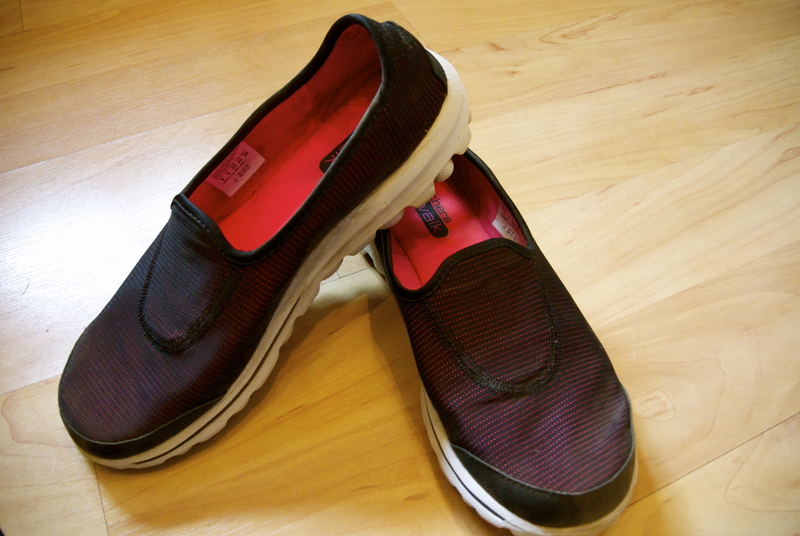 I wanted to find a pair of Go Walk Skechers (again, for the Road Trip), but I couldn’t seem to find any pretty ones in stock anywhere online, so suggested to my Mum that we drove up to the McArthurGlen outlet village in Swindon. I can’t imagine many people like to visit Swindon for their birthday, but the McArthur Glen has a very important store that keeps me occupied for ages – the Cosmetics Company Outlet. 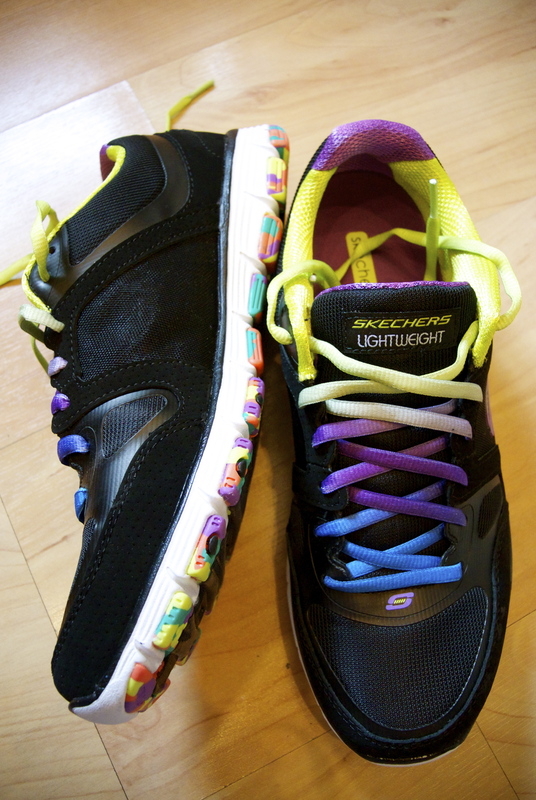 CCO + Skechers = Happy Birthday ME! I was worried we’d have to queue to get in the car park, but it actually wasn’t that busy which surprised me. 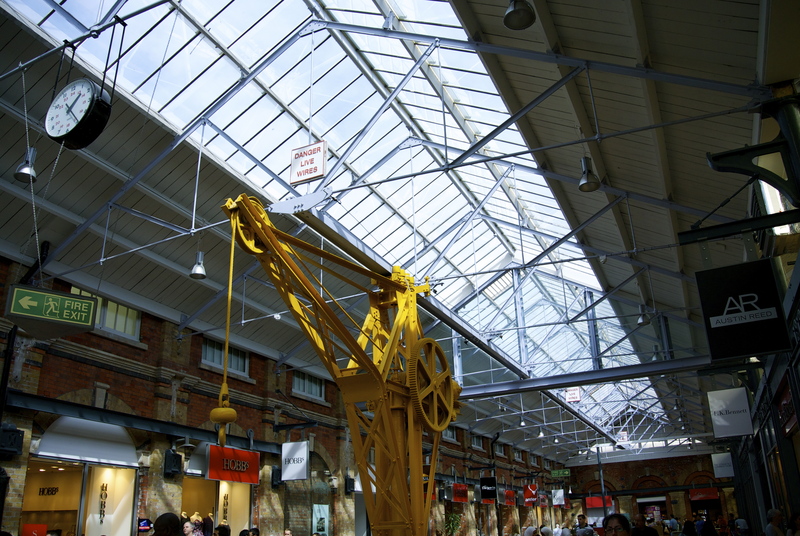 I do love Swindon outlet mall – you’ll walk around a corner and come across some random bit of railway engineering. The shops are in the old Great Western Railway Works which is a little unusual! It has all the standard outlet shops, and we spent a couple of hours traipsing round the various different shops looking at shoes, bags and clothes. I was almost tempted by a pair of Melissa/Jason Wu shoes in Kurt Geiger, but they only had one pair which were filthy! There was also a lot of Kartell furniture in the John Lewis, but again, it was mostly damaged stuff – the price you pay I suppose. But anyway, on to the purpose of my visit. The Skechers in Swindon is a little cramped, and especially so when other shoppers refuse to let you passed in case you steal the shoes you want. It was a little painful, and my Mum found herself getting in a mood so she left whilst I continued on with my battle. And success – the purple Go Walk shoes were mine. Now I know they’re not the most stylish of shoes, but I have already worn them on a long-ish walk and my feet love them. I think it’s official – I am now old and prefer comfort over style. That said, I also bought these. I have absolutely no need for them but LOOK AT THE PRETTY LACES! I was only intending to buy one pair, but I couldn’t say no to these. And then on to the Cosmetics Company Outlet. I of course headed over to their MAC section first of all, where I spotted this beauty. 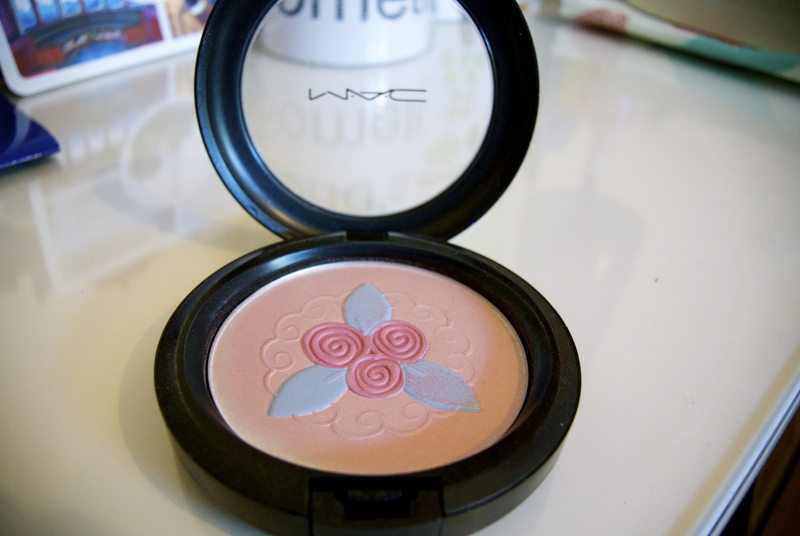 The Pink Buttercream Pearlmatte face powder from MAC‘s Baking Beauty range, which I think was only out a couple of months ago. 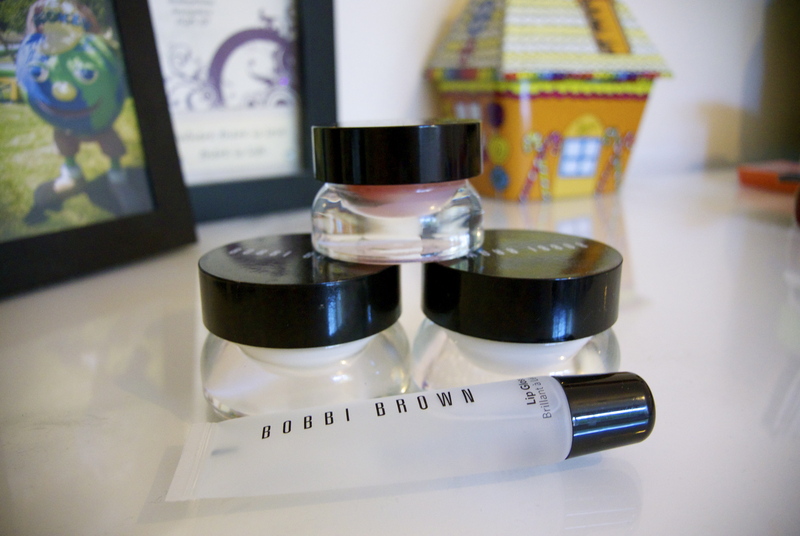 Then over to my new obsession – Bobbi Brown. A Bobbi’s Luxury Travel Kit which contains travel sizes of the Extra Repair Moisturising Balm and Extra Soothing Balm, plus full sized Crystal Lip Gloss and Extra Eye Repair Cream (and an eye mask which I have flung somewhere and already lost). I had debated about putting this on my birthday list but couldn’t quite justify putting something that was £60 on there, so I’m so happy that they were selling it a CCO and for £45 too! The eye cream alone is £42. I’ve already used the balm to bring a glow to my cheeks, and it will be so much easier taking the smaller bottles on holiday with me. You certainly won’t have any problems figuring out if that suitcase is yours or not!! Unless everyone else has the same idea!